Eustace Haselwood Grubbe was an accountant and banker. He lived at 1919 Beach Avenue in 1904; at 743 Denman Street from 1908 to 1910; and at number 36, 2046 Beach Avenue in 1915 and 1916. Eustace Haselwood Grubbe was born on January 23 [or 26], 1876, in Peterborough, Ontario. 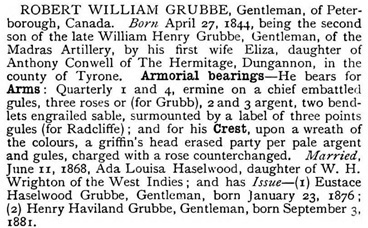 His father was Robert William Radcliffe Grubbe (1844-1923), who was a banker. Robert’s father, William Henry Grubbe, had been with the British military forces in India before moving to Upper Canada in the mid-1800s. Eustace’s mother was Ada Louise Haselwood Wrighton (1846-1918). After finishing school, Eustace joined the Bank of Montreal at St. Mary’s, Ontario. In 1896 he was transferred to Regina, Saskatchewan. On October 15, 1898, he moved to Vancouver, where he continued to work for the Bank of Montreal. He lived at the following addresses in Vancouver. In 1899, he joined the Vancouver Rowing Club, where he became a renowned rower and rugby player. 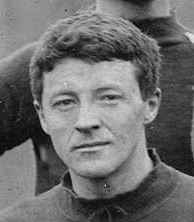 E H Grubbe, detail from Vancouver Rugby Football Club, Season 1901-1902 Champions of British Columbia; Vancouver City Archives, VLP 53; http://searcharchives.vancouver.ca/vancouver-rugby-football-club-season-1901-1902-champions-of-british-columbia. In 1903, Eustace became engaged to Bertha Marie Rouleau. She was born about 1882 in Aylmer, Quebec. Her father was Charles Borrome Rouleau (1840-1901), a lawyer and judge who was the chief justice of the Northwest Territories during the Riel Rebellion. Marie’s mother was Elvina Dumouchel (1840-1901). 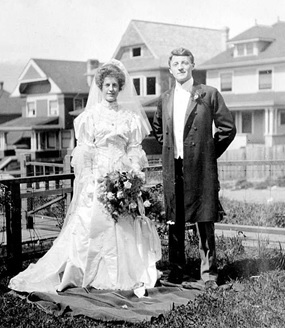 The wedding was in Vancouver on May 3, 1905. Mr. and Mrs. Eustace Haselwood Grubbe; British Columbia Archives, Item D-06827; http://search.bcarchives.gov.bc.ca/mr-and-mrs-eustace-crubbe-hazelwood. 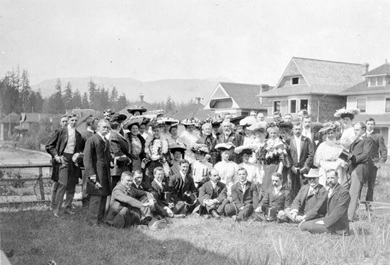 Wedding of Eustace Hazelwood Grubbe; British Columbia Archives, Item D-06828; http://search.bcarchives.gov.bc.ca/wedding-of-eustace-h-grubbe-hazelwood. 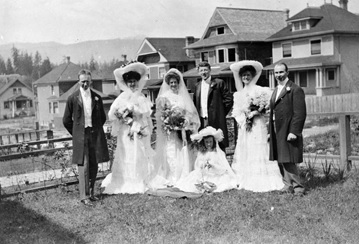 Wedding of Eustace H. Grubbe; British Columbia Archives; Item D-06829; http://search.bcarchives.gov.bc.ca/wedding-of-eustace-h-grubbe. From 1906 to 1910, Eustace and Berthe were in Vancouver. In 1911 and 1912, they lived in New Denver, British Columbia. From 1912 to 1915, they were in Kamloops, British Columbia, where they lived at 157 West Nicola Street. After their return to Vancouver, they lived at the following addresses. In addition to his duties as manager of the Bank of Montreal in Vancouver, Eustace took on several other roles. In 1920 he became the rector’s warden at St. Mark’s Anglican Church in Vancouver. In 1927, he was in charge of the course and races for the Vancouver Rowing Club. In 1929, he was the honorary treasurer of the John Howard Society. In 1934 and 1935, he was the president of the North Pacific Association of Amateur Oarsmen. After he retired from the Bank of Montreal on January 31, 1939, he was an elected member of the Vancouver Park Board until 1941. In 1939, he was a director of the British Columbia Seniors Golf Association. In 1940, he was the vice president of the Vancouver Rugby Union. Eustace died in Vancouver on December 26, 1951. Berthe died in Marion, Oregon, on February 10, 1971. She was buried in Mountain View Cemetery in Vancouver. Eustace and Berthe had the following children. Ada Marguerite Grubbe was born in Vancouver on March 22, 1906. She died in Vancouver on September 22, 1906. Berthe Elizabeth Grubbe was born in Vancouver on February 2, 1909. On September 15, 1934, in Vancouver, she married Edward Bevan Boyle, who was a millworker. He was born in London, England, in February 1908. His father was Robert Clarke Boyle (1869-1935). His mother was Margaret Anne Young Lane (1869-1955). Edward died in Marion, Oregon, on May 23, 1976. It appears that Berthe died in 1988. John Rouleau Grubbe was born in New Denver, British Columbia, on December 18, 1912. On March 26, 1940, in Vancouver, he married Mary Barbara Symons. Her father was William West Symons (1880-1956), who was a bank manager. Her mother was Adelaide Ritchie (1884-1966). Further information appears on the page for William West Symons: https://westendvancouver.wordpress.com/biographies-n-z/biographies-s/symons-william-west-1880-1956/. John died in West Vancouver, British Columbia, on November 24, 2000. Mary died on October 7, 2013, probably in West Vancouver. Robert Henry Grubbe was born in Kamloops, British Columbia, on May 22, 1915. He died in Vancouver on June 21, 1918. Barbara Haselwood Grubbe was born in Vancouver on March 1, 1920. She married John Robert Potts. He was born in Barrow-in-Furness, England on July 4, 1913. They lived in Smiths Falls, Ontario, for many years. John died in Smiths Falls in February 13, 2001. He was buried in St. Francis de Sales Cemetery in Smiths Falls. Barbara died in Lindsay, Ontario, on January 28, 2015. She was buried in St. Francis de Sales Cemetery in Smiths Falls. “India Births and Baptisms, 1786-1947,” database, FamilySearch (https://familysearch.org/ark:/61903/1:1:FG4V-1VY : accessed 29 October 2015), Robert William Grubb, 29 Jun 1844; citing , reference v 22 p 69; FHL microfilm 521,844. Canadian County Atlas Digital Project; Ontario, Peterborough County, 1871; Robert W. Grubbe; http://digital.library.mcgill.ca/countyatlas/showrecord.php?PersonID=86990. “Canada Census, 1871,” database, FamilySearch (https://familysearch.org/ark:/61903/1:1:M473-4VQ : accessed 23 April 2016), Robert W Grubb, Peterborough, West Peterborough, Ontario, Canada; citing p. 43, line 5; Library and Archives Canada film number C-9986, Public Archives, Ottawa, Ontario; FHL microfilm 4,396,623. “Canada Census, 1891,” database, FamilySearch (https://familysearch.org/ark:/61903/1:1:MWGS-118 : accessed 23 April 2016), R W Grubbe, Peterborough Town, Peterborough West, Ontario, Canada; Public Archives, Ottawa, Ontario; Library and Archives Canada film number 30953_148166; http://central.bac-lac.gc.ca/.item/?app=Census1891&op=pdf&id=30953_148166-00046. “Canada Census, 1901,” database, FamilySearch (https://familysearch.org/ark:/61903/1:1:KHGQ-VK3 : accessed 23 April 2016), Robert W Grubb, D, Peterborough (west/ouest), Ontario, Canada; citing p. 9, Library and Archives of Canada, Ottawa; http://automatedgenealogy.com/census/View.jsp?id=100956&highlight=11&desc=1901+Census+of+Canada+page+containing+Robert+W.+Gault [sic]; http://data2.collectionscanada.ca/1901/z/z002/pdf/z000096706.pdf. “Recensement du Canada de 1911,” database, FamilySearch (https://familysearch.org/ark:/61903/1:1:276L-9N2 : accessed 23 April 2016), Richard [sic] Grubb, 1911; citing Census, Peterborough West Sub-Districts 1-31, Ontario, Canada, Library and Archives of Canada, Ottawa, Ontario; FHL microfilm 2,418,518; http://automatedgenealogy.com/census11/View.jsp?id=135292&highlight=43&desc=1911+Census+of+Canada+page+containing+Richard+Grubb%28%3F%29; http://data2.collectionscanada.gc.ca/1911/pdf/e002015862.pdf. 1921 Canada Census, Robert Grubbe; Reference Number: RG 31; Folder Number: 82; Census Place: Peterboro (City), Peterborough West, Ontario; Page Number: 11; Ancestry.com. 1921 Census of Canada [database on-line]. Provo, UT, USA: Ancestry.com Operations Inc, 2013. “Ontario Deaths, 1869-1937 and Overseas Deaths, 1939-1947,” database with images, FamilySearch (https://familysearch.org/ark:/61903/1:1:J6SY-9N5 : accessed 29 October 2015), Robert William Radliffe Grubbe, 26 Oct 1923; citing Smith, Peterborough, Ontario, yr 1923 cn 28488, Archives of Ontario, Toronto; FHL microfilm 1,976,692. “Canada Census, 1881,” database, FamilySearch (https://familysearch.org/ark:/61903/1:1:MVXR-DZ2 : accessed 23 April 2016), Ada Grevbbe in household of Robert W. Grevbbe, Peterborough, Peterborough West, Ontario, Canada; citing p. 25; Library and Archives Canada film number C-13241, Library and Archives Canada, Ottawa, Ontario; FHL microfilm 1,375,877; http://data2.collectionscanada.gc.ca/e/e328/e008178776.pdf. “Canada Census, 1891,” database, FamilySearch (https://familysearch.org/ark:/61903/1:1:MWGS-11D : accessed 23 April 2016), Ada L Grubbe, Peterborough Town, Peterborough West, Ontario, Canada; Public Archives, Ottawa, Ontario; Library and Archives Canada film number 30953_14816; http://central.bac-lac.gc.ca/.item/?app=Census1891&op=pdf&id=30953_148166-00046. “Canada Census, 1901,” database, FamilySearch (https://familysearch.org/ark:/61903/1:1:KHGQ-VKQ : accessed 23 April 2016), Aida L H Grubb in household of Robert W Grubb, D, Peterborough (west/ouest), Ontario, Canada; citing p. 9, Library and Archives of Canada, Ottawa; http://automatedgenealogy.com/census/View.jsp?id=100956&highlight=12&desc=1901+Census+of+Canada+page+containing+Aida+L.H.+Gault [sic]; http://data2.collectionscanada.ca/1901/z/z002/pdf/z000096706.pdf. “Recensement du Canada de 1911,” database, FamilySearch (https://familysearch.org/ark:/61903/1:1:276L-9NL : accessed 23 April 2016), Ada Grubb in entry for Richard Grubb, 1911; citing Census, Peterborough West Sub-Districts 1-31, Ontario, Canada, Library and Archives of Canada, Ottawa, Ontario; FHL microfilm 2,418,518; http://automatedgenealogy.com/census11/View.jsp?id=135292&highlight=44&desc=1911+Census+of+Canada+page+containing+Ada+Grubb%28%3F%29; http://data2.collectionscanada.gc.ca/1911/pdf/e002015862.pdf. “Ontario Deaths, 1869-1937 and Overseas Deaths, 1939-1947,” database with images, FamilySearch (https://familysearch.org/ark:/61903/1:1:JNRH-DLL : accessed 29 October 2015), Ada Louise Haselwood Grubbe, 19 May 1919; citing Ontario, Canada, yr 1919 cn 26525, Archives of Ontario, Toronto; FHL microfilm 1,862,967. Eustace Haselwood Grubbe, Genealogy, Vancouver City Archives, Add. MSS. 54; 504-D-2, file 276, microfiche # AM0054.013.01914. Eustace Haselwood Grubbe, The Vancouver Rowing Club – A History 1886-1980, by Jack Carver, 1908, pages 148-149. “Ontario Births, 1869-1912”, database with images, FamilySearch (https://familysearch.org/ark:/61903/1:1:FM3T-Y4L : accessed 29 October 2015), Eustace Haselwood Grubbe, 1876. “Canada Census, 1881,” database, FamilySearch (https://familysearch.org/ark:/61903/1:1:MVXR-DZL : accessed 23 April 2016), Eustace H. Grevbbe in household of Robert W. Grevbbe, Peterborough, Peterborough West, Ontario, Canada; citing p. 25; Library and Archives Canada film number C-13241, Library and Archives Canada, Ottawa, Ontario; FHL microfilm 1,375,877; http://data2.collectionscanada.gc.ca/e/e328/e008178776.pdf. “British Columbia Marriage Registrations, 1859-1932; 1937-1938,” database with images, FamilySearch (https://familysearch.org/ark:/61903/1:1:JD81-ZBH : accessed 23 April 2016), Eustace Haselund Grulbe and Marie Berthe Rouleau, 03 May 1905; citing Vancouver B C, Canada, British Columbia Archives film number B11373, Vital Statistics Agency, Victoria; FHL microfilm 1,983,530. “Recensement du Canada de 1911,” database, FamilySearch (https://familysearch.org/ark:/61903/1:1:QV9P-T59D : accessed 29 October 2015), Eustace Grubbe, 1911; citing Census, Kootenay Sub-Districts 1-61, British Columbia, Canada, Library and Archives of Canada, Ottawa, Ontario; FHL microfilm 2,417,659. “Twenty-four years or so ago when the Vancouver Rowing Club was making its annual bid for championship honors at the N.P.A.A.O. 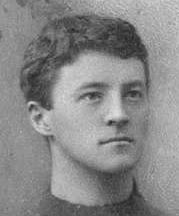 regatta the name of E.H. Grubbe was included in the list of athletes chosen to wear the club’s colors. On July 22 and 23 Mr. Grubbe, now manager of the Cordova street branch of the Bank of Montreal, will preside over the thirty-first championship meeting of the North Pacific Association of Amateur Oarsmen at Harrison Lake as commodore. “New York, New York Passenger and Crew Lists, 1909, 1925-1957,” database with images, FamilySearch (https://familysearch.org/ark:/61903/1:1:24KL-Y2Q : accessed 29 October 2015), Eustace Grubbe, 1937; citing Immigration, New York, New York, United States, NARA microfilm publication T715 (Washington, D.C.: National Archives and Records Administration, n.d.). “Idaho, Eastport, Arrival Manifests, 1924-1956,” database with images, FamilySearch (https://familysearch.org/ark:/61903/1:1:KF6C-MMS : accessed 29 October 2015), Grubbe, ; citing Immigration, Eastport, Idaho, United States, NARA microfilm publication A3460 (Washington, D.C.: National Archives and Records Administration, n.d.). “British Columbia Death Registrations, 1872-1986; 1992-1993”, database with images, FamilySearch (https://familysearch.org/ark:/61903/1:1:FLRR-XJK : accessed 29 October 2015), Eustace Haselwood Grubbe, 1951. “Banker, Sportsman, E.H. Grubbe Dies; Widely-Known City Resident Came to Vancouver in 1898,” Vancouver Province, December 27, 1951, page 30 [includes photograph of E.H. Grubbe]. “E.H. Grubbe, Noted Banker, Buried Today,” Vancouver Sun, December 28, 1951, page 2 [includes photograph of E.H. Grubbe]. 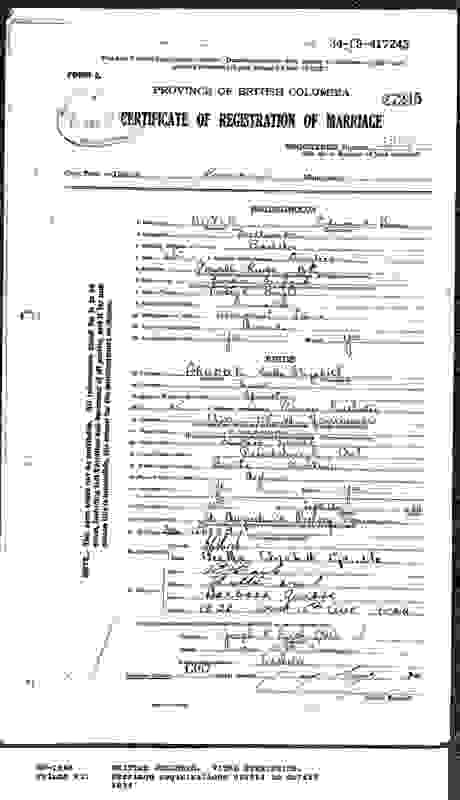 “Oregon Death Index, 1903-1998,” database, FamilySearch (https://familysearch.org/ark:/61903/1:1:VZHV-FSS : accessed 29 October 2015), Bertha M Grubbe, 10 Feb 1971; from “Oregon, Death Index, 1898-2008,” database and images, Ancestry (http://www.ancestry.com : 2000); citing Marion, Oregon, certificate number 71-02375, Oregon State Archives and Records Center, Salem. “Find A Grave Index,” database, FamilySearch (https://familysearch.org/ark:/61903/1:1:QVV5-3XPX : accessed 29 October 2015), Bertha Grubbe, ; Burial, Vancouver, Greater Vancouver Regional District, British Columbia, Canada, Mountain View Cemetery; citing record ID 26400450, Find a Grave, http://www.findagrave.com/cgi-bin/fg.cgi?page=gr&GRid=26400450. “British Columbia Death Registrations, 1872-1986; 1992-1993”, database with images, FamilySearch (https://familysearch.org/ark:/61903/1:1:FLKC-QWP : accessed 29 October 2015), Marguerite A E Grubbe, 1906. “British Columbia Death Registrations, 1872-1986; 1992-1993”, database with images, FamilySearch (https://familysearch.org/ark:/61903/1:1:FLKC-QW5 : accessed 29 October 2015), Marguerite A E Grubbe, 1906. Vancouver City Archives, Health Department, Mountain View Cemetery, MCR-15-15 (Horne Number 1), page 73: Plot 6, lines 1-4: Grubbe Family, 764 Cardero St: Lot 4: Grubbe, Margarite Ada Elvina, age 6 months; b. Vancouver, d. Vancouver, d. 23 Sep 1906. Bur. 24 Sep 1906, Female, infarc scepta. Physician: Tunstall; Religion: Catholic. “British Columbia Death Registrations, 1872-1986; 1992-1993”, database with images,FamilySearch (https://familysearch.org/ark:/61903/1:1:FL2N-C7C : accessed 30 October 2015), Robert Clarke Boyle, 1935. “British Columbia Death Registrations, 1872-1986; 1992-1993”, database with images,FamilySearch (https://familysearch.org/ark:/61903/1:1:FLR5-2HT : accessed 30 October 2015), Margaret Ann Young Boyle, 1955. “England and Wales Birth Registration Index, 1837-2008,” database, FamilySearch (https://familysearch.org/ark:/61903/1:1:2FVQ-PBY : accessed 29 October 2015), Edward Bevan S Boyle, 1908; from “England & Wales Births, 1837-2006,” database, findmypast (http://www.findmypast.com : 2012); citing Birth Registration, Paddington, London, England, citing General Register Office, Southport, England. “Recensement du Canada de 1911,” database, FamilySearch (https://familysearch.org/ark:/61903/1:1:QV95-MBXY : accessed 29 October 2015), Edward Boyle in entry for Robt Boyle, 1911; citing Census, Vancouver Sub-Districts 1-18, British Columbia, Canada, Library and Archives of Canada, Ottawa, Ontario; FHL microfilm 2,417,661. “New York, New York Passenger and Crew Lists, 1909, 1925-1957,” database with images, FamilySearch (https://familysearch.org/ark:/61903/1:1:24FB-RTM : accessed 29 October 2015), Edward B S Boyle, 1930; citing Immigration, New York, New York, United States, NARA microfilm publication T715 (Washington, D.C.: National Archives and Records Administration, n.d.). “Find A Grave Index,” database, FamilySearch (https://familysearch.org/ark:/61903/1:1:QVV5-S67T : accessed 29 October 2015), Bertha Elizabeth Boyle, ; Burial, Vancouver, Greater Vancouver Regional District, British Columbia, Canada, Mountain View Cemetery; citing record ID 26400449, Find a Grave; http://www.findagrave.com/cgi-bin/fg.cgi?page=gr&GRid=26400449. “Oregon Death Index, 1903-1998,” database, FamilySearch(https://familysearch.org/ark:/61903/1:1:VZ4H-MW5 : accessed 30 October 2015), Edward Boyle, 23 May 1976; from “Oregon, Death Index, 1898-2008,” database and images,Ancestry (http://www.ancestry.com : 2000); citing Marion, Oregon, certificate number 76-08162, Oregon State Archives and Records Center, Salem. 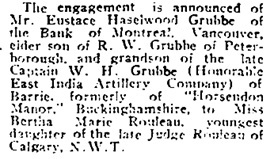 “Interesting Monday Wedding,” Vancouver Sun, March 26, 1940, page 6; [includes photograph of Mr. and Mrs. J.R. Grubbe]; https://news.google.com/newspapers?id=7DNlAAAAIBAJ&sjid=PokNAAAAIBAJ&pg=1078%2C3786270 [link leads to column 4; article is in columns 2 and 3]. “British Columbia Death Registrations, 1872-1986; 1992-1993”, database with images, FamilySearch (https://familysearch.org/ark:/61903/1:1:FLPT-QQ9 : accessed 23 April 2016), William West Symons, 1956. “British Columbia Death Registrations, 1872-1986; 1992-1993”, database with images, FamilySearch (https://familysearch.org/ark:/61903/1:1:FLYD-KJ6 : accessed 23 April 2016), John Ritchie Symons, 1943. “Find A Grave Index,” database, FamilySearch (https://familysearch.org/ark:/61903/1:1:QVV5-3X5R : accessed 30 October 2015), John Rouleau Grubbe, ; Burial, Vancouver, Greater Vancouver Regional District, British Columbia, Canada, Mountain View Cemetery; citing record ID 26400451, Find a Grave, http://www.findagrave.com. “British Columbia Death Registrations, 1872-1986; 1992-1993”, database with images, FamilySearch (https://familysearch.org/ark:/61903/1:1:FLK8-P5B : accessed 29 October 2015), Henry Roulean Grubbe, 1918. Vancouver City Archives, Health Department, Mountain View Cemetery, MCR-15-15 (Horne Number 1), page 73: Plot 6, lines 1-4: Grubbe Family, 764 Cardero St: Lot 3: Grubbe, Henry Rouleau, age 3 years; b. Kamloops, B.C., d. Vancouver, d. 21 Jun 1918, bur. 22 Jun 1918, male, Septic meningitis; Physician: McLennan; Religion: Roman Catholic. John Robert Potts, death notice, Ottawa Citizen, February 15, 2001; http://www.federationgenealogie.qc.ca/avisdeces/avis/pdf?id=68263: “Passed away peacefully on February 13, 2001 in Smiths Falls, Ontario. Beloved husband, father, grandfather and great-grandfather. He leaves to mourn his passing, his wife Barbara; his sons Robert and John (Kathleen) of Lindsay, Ontario; his daughters Elizabeth Dwivedi, Diane (Tom) McLeod, Rosi (Gerry) Riopelle, Michele Potts, all of Ottawa, Ontario; Marianne (Keith) Winter of Calgary, Alberta and Jeannette (Larry) Dempsey of Spencerville, Ontario; his grandchildren Sean and Erin Potts, Tashi and Tara Dwivedi, Jennifer (Johan) Koppernaes and Melissa Warren, Sarah and Joe Riopelle, Marie and Julie vanEgteren, Christoffer, Alexander and Nikolaus Hermens, Michael, Monica and Trevor Potts, Shannon (Lloyd) Blank, Scott (Jill) McLeod; his greatgrandchildren Tyler Potts, Julia and Johan Koppernaes, Kado Dwivedi, Karson Blank, Connor and Kaitlyn McLeod. He was born in Barrow-in-Furness, England on July 4, 1913 and lived most of his life in Canada. His warm and loving heart, his wisdom, his dignity and his overwhelming pride of his children will long be remembered by all who knew him. Mass of Christian Burial will be celebrated on Friday, February 16, 2001 at 1:00 p.m., St. Francis de Sales Church, Smiths Falls, Ontario. Burial at St. Francis de Sales Cemetery, Smiths Falls. In lieu of flowers a donation to the Alzheimer Society would be greatly appreciated. 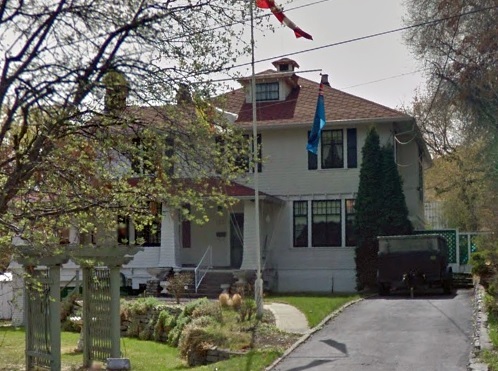 Arrangments entrusted to Blair & Son Funeral Home, Smiths Falls. Ottawa Citizen, February 15, 2001. Barbara Haselwood Potts; death notice; Published in Vancouver Sun and/or The Province on Jan. 31, 2015; http://www.legacy.com/obituaries/theprovince/obituary.aspx?pid=174018466: “Passed away peacefully at the Ross Memorial Hospital, Lindsay, Ontario, on Wednesday, January 28, 2015, in her 95th year. Beloved wife of the late John Potts; predeceased by her brother John, her sister Beth, and her son Robert. As our inspiration to live life fully with energy, love and laughter, she will be deeply missed by her children: Elizabeth (Chander) Dwivedi, Diane (Tom) McLeod, Rosi (Gerry) Riopelle, Marianne (Keith) Winter, Jeannette (Larry) Dempsey, John (Kathleen) Potts, and Michele Potts (Don Paterson). Affectionately known as GiGi, she will be fondly remembered by her grandchildren: Tara (Chris), Tashi (Sophie), Jennifer (Scott), Melissa (Robb), Scott (Lisa), Shannon (Mike), Sarah (Ed), Joseph, Marie (Dave), Julie, Christoffer (Ashley), Alexander, Nikolaus, Michael, Monica, Trevor, Tyler, Jessica (Matt), Harley (Annick), Sean (Sara), Erin (Ash); and by her great-grandchildren Kado, Sandrine, Mila, Julia, Johan, Greyson, Taelynne, Kiarra, Connor, Kaitlyn, Karson, Darien, Charlie, Audrey, Caeden, Liam, Rhys, Nolan, and Colbie. The family is deeply grateful to the staff at Ross Memorial for their wonderful care. The funeral will be celebrated on Monday, February 2, 2015, at 1:00 p.m. at St. Francis de Sales Church, Smiths Falls, Ontario. Following the service, a reception for family and friends will be held in Hanley Hall, located behind the church. In lieu of flowers, donations in her memory may be made to the Ross Memorial Hospital Foundation. “Find A Grave Index,” database, FamilySearch (https://familysearch.org/ark:/61903/1:1:QK18-WVMM : accessed 23 April 2016), Barbara Haselwood Potts, 2015; Burial, Numogate, Lanark, Ontario, Canada, Saint Francis de Sales Cemetery; citing record ID 142072289, Find a Grave, http://image2.findagrave.com/cgi-bin/fg.cgi?page=gr&GRid=142072289.